Last night, the Chicago Tribune posted the results of a lengthy investigation into Willow Creek Pastor Bill Hybels about allegations of misconduct. 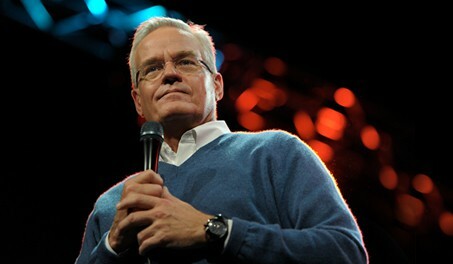 Hybels announced in October that he would be stepping down as lead pastor later this year. Hybels has denied the allegations. In the external investigation, 29 interviews were conducted, and an information technology (IT) forensics firm was engaged to search the Willow server. In addition, email messages, phone records, church financial documents, personal financial documents, and travel records were all thoroughly reviewed once again … The outside law firm concluded that there was no evidence to support any charges of inappropriate behavior. They commended the work of the Elders. Neither of those investigations produced any evidence to support accusations or concerns brought forward by the group of former Willow staff members. The investigations were apparently sparked when a women said that she and Hybels were having a consensual sexual affair. However, later, when the church began to investigate, she emailed the church and said, “Some of what I told you happened … the insinuations, the flirting. But there is no truth to the other things.” She said that she had made up the story of the affair because she was angry with Willow Creek and Hybels. However, two of the elders wanted to continue an investigation into Hybels, and interviewed women who work with Hybels or had contact with him over the years. Several detailed incidents of inappropriate behavior including “hugs that went on too long and flirty emails and texts,” and an inappropriate joke. Several said that he invited them to his hotel room while traveling. Another woman recounted an experience in which Hybels had started complimenting her appearance and criticizing her husband, and suggested they lead Willow together. She said he came over, “put his hands on her waist, caressed her stomach and kissed her.” After that, she asked him to stop and left the room. Church elders did not provide the Tribune with any full copy of the final report.